Let's Play House! Can Opener & Cans Pretend Set - 4524 - Learning: Play Early Childhood Active Play Tents & Tunnels. early. Early Childhood Active Play. amp. tunnels. house. . pretend. cans. opener. tents. set. Tents Tunnels Early Childhood Active Play. 4524. childhood. active. play. learning. 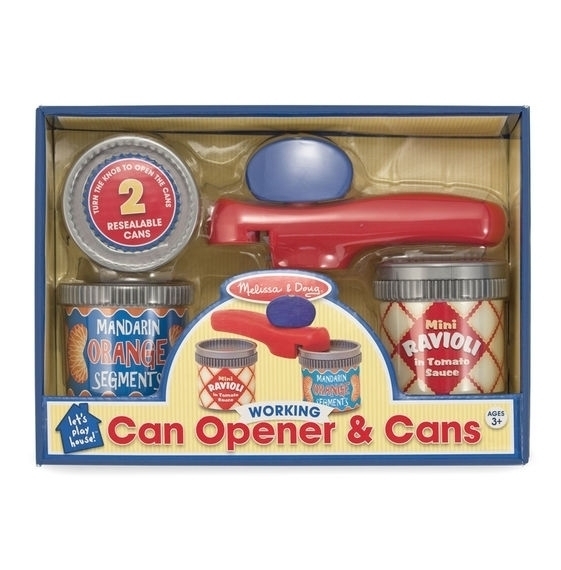 With working parts and two pretend-play cans to open, this can opener is just like the real thing--but much more fun! 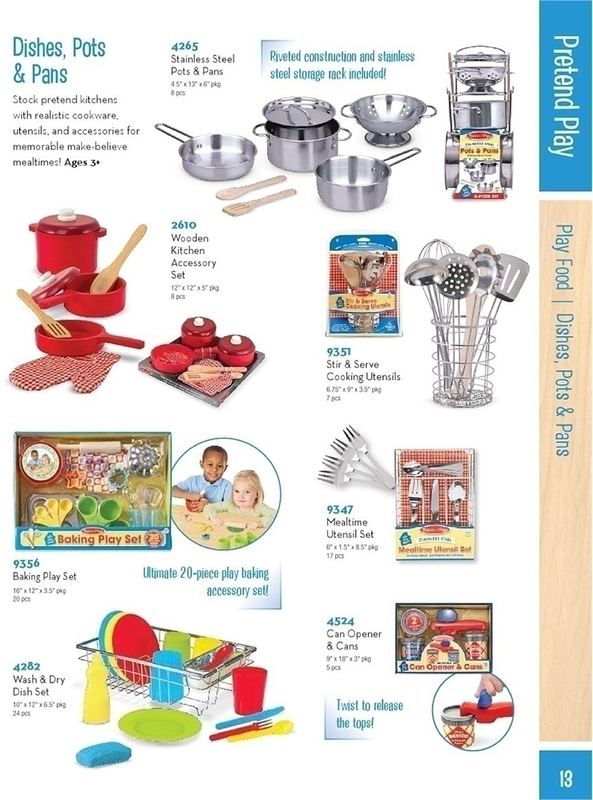 Adding a realistic twist to play kitchens (but lots of fun on its own, too) this clever play set lets young chefs choose a can, click the opener into place, and give the easy-grasp handle a turn to remove the lid. The cans feature a special grooved closure that separates when it comes into contact with the can opener, creating an encouraging, realistic result for minimal effort. When the "meal" is complete, the lids screw back into place to remove again and again! 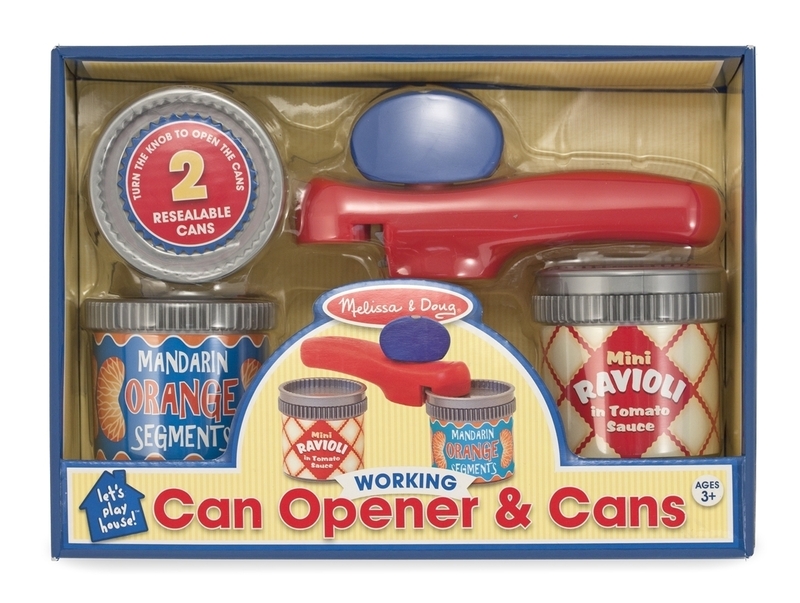 Includes opener and two cans (mandarin oranges and ravioli).